With a resolution heading to the full County Board in a few weeks, formal talks or negotiations may soon begin for a bus line to bring Milwaukee residents to the future Foxconn manufacturing campus to work. That’s according to Milwaukee County Supervisor and board chairman Theodore Lipscomb, Sr., who held a press conference yesterday with members of the county board’s Transportation, Public Works & Transit Committee at General Mitchell International Airport. Lipscomb first proposed a bus line to the plant in March, and this latest action, if approved by the board, will “put the county on record that this is something we really want to do,” he noted. Up to now, there have been some informal conversations between county representatives and state and local (Racine) officials, Lipscomb said. But this resolution, if passed, will call on County Executive Chris Abele and his administration to begin pursuing a deal on the bus line. The bus line would be an express line, likely with only one stop between Milwaukee and the Foxconn campus in Racine County. Lipscomb’s ultimate goal for the proposal is a partnership between Milwaukee County, Racine and the state to operate a line that brings workers from both Racine and Milwaukee to the factory. Very likely the line between Milwaukee and Foxconn would be operated by Milwaukee County Transit System drivers, but with no real plans in place, the county could contract out for the service. That’s a move the local Amalgamated Transit Union has pledged to fight bitterly. Lipscomb wants to begin work on a bus line before the jobs at the plant materialize, he said. Residents in Milwaukee who could potentially be workers there need assurances that they can get to the plant for work. The resolution was passed by the Transportation, Public Works and Transit Committee Wednesday with only one dissenting vote. Supervisor Marina Dimitrijevic has deep reservations about the Foxconn deal and is hesitant to move towards committing funds to something related to it. She said she supports the idea of increasing public transportation for Milwaukee residents to get to jobs elsewhere. But she added that with all the money the state has given Foxconn, perhaps it shouldn’t be the burden of taxpayers to pay for transporting the company’s workers to the job site. “Can’t we ask Foxconn to help pay for this?” she asked. Dimitrijevic is not withholding a yes vote indefinitely, and said she is reserving her final judgment for the full board’s consideration of the issue. 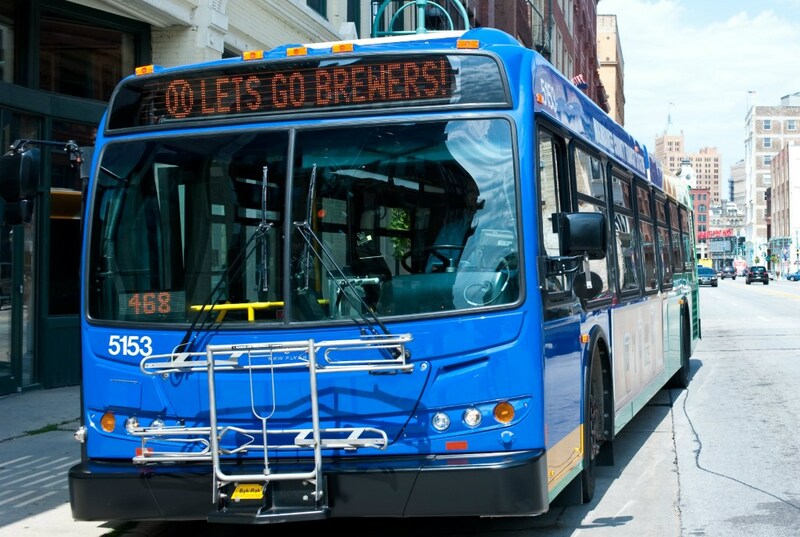 The Southeastern Wisconsin Regional Planning Commission (SEWRPC) previously analyzed Lipscomb’s proposal and called for coach-like buses that haul more people than a typical city bus. It also found that the county would need to purchase at least three or four new buses for the new line. If the county contracts out for the service, SEWRPC found that over time it would be more expensive. And to pay for all of this Lipscomb is proposing using roughly $4.5 million dollars from the recent sale of the former Midwest Airlines hangars at the airport. Both the state and Racine may make claims to some of the proceeds from the sale of the hangars, which were collateral for loan guarantees from the three parties. Rather than attempting to divvy up the money, Lipscomb proposes using it together for this bus line to the Foxconn campus. Otherwise, determinations of how to split the airport money could go to litigation, if there is no amicable agreement. I applaud Lipscomb and hope he continues this “Let’s get going on this” . Best to plan for taking care of our own city emplyees so they can get to work..;the planning could all be laid out so that when the buses become necessary…the plan is in place…I imagine Illinois is already making their plans…. And,,,,,yes to a bus (more flexible) than a trolley, train, streetcar, etc. With talks of an Amazon DC in Oak Creek it would be nice to have a flyer that operated from the north side, to Oak Creek, to Foxconn and back.